Coming home to Chicago for August has been exactly what the doctor ordered. My days have consisted of pilates, picnicking, laying out, and hanging with my fam and friends. My friend Hannah came to visit me for Lollapalooza. Aside from showing her around town, we had an amazing time doing stylist pull from Cynthia Rowley! Cynthia Rowley has always been one of my favorite Chicago designers! Going through the racks at the Cynthia Rowley store was exhilarating. Hannah and I decided to match in these dazzling black embellished pieces. I am obsessed with the kimono inspired dress that I wore! It is one of those dresses that instantly makes you feel glamorous and badass all at the same time. The dress is perfect for a night on the town or even a gallery opening. 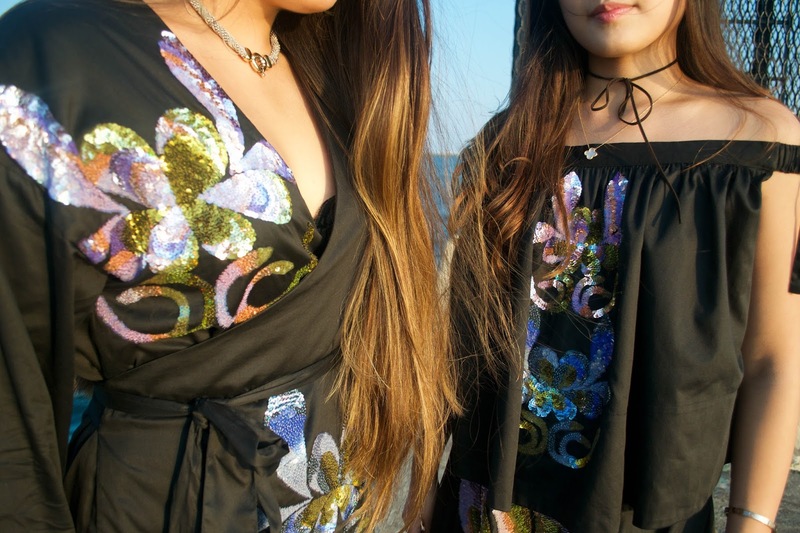 The top and skirt that Hannah wore have such beautiful details all over the garments. Both pieces have such an extraordinary shape to them. 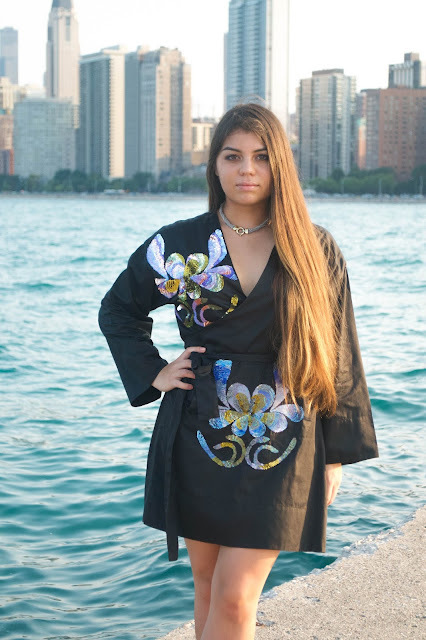 I decided to head over to North Avenue Beach to compliment the stunning pieces and capture the Cynthia Rowley aesthetic. There was something dreamy about the way the sunlight hit the sequins. Check out cynthiarowley.com for more lovely pieces. Thank you to Cynthia Rowley and her team for letting us borrow these exceptional pieces!